On April 13th 2010, Apple unveiled the iPad; a gadget that was to take the world by storm. Within the first three months of its existence, the company sold over 3,000,000 iPads and cornered 95% of the tablet market. One of the main attractions for users is the capacity for apps; miniature software packages that can be downloaded and installed. 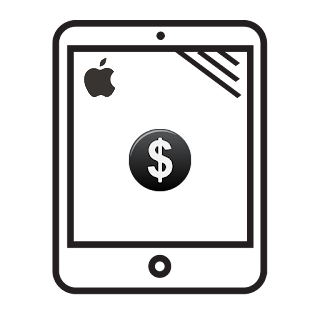 Currently, there are over 200,000 apps available for the iPad, but given that most people use the device for business purposes, the ones that are proving to be the most consistently popular are those designed to simplify money management. Not only have app designers cottoned on to the fact that money management on the go fits in well with our modern lifestyle, but the banking and finance companies have jumped on the technology as a USP for their products as well. Now you can check your balance, get email or text alerts when you’re near your limit and even check up on your stocks and shares portfolio on the go. In a world where everybody’s going green, watching just how much energy you’re using is important – especially as it can save you money at the same time. The constantly rising cost of energy is also a strong motivator for all of us to keep a closer eye on our efficiency and consumption. This app helps you do exactly that. Simply enter all the data you have from your paper bills and, from then on, you can use Meter Readings to tell you what you’re using and just how much it’s cost you. This is a brilliant app if you’re someone who deals in foreign currency on a regular basis – or if you’re planning on going abroad. ICurrency Pad gives you current trending information, beautifully displayed in easy to read graphics, so you can get the best exchange rate, or move your currency around to get the best return. This app is perfect for anyone working in the finance field. It’s an algebraic and RPN calculator that can work out practically any ROI you care to think of. Whether you want to calculate loan rates, profit margins or do some simple arithmetic, PowerOne’s got it pretty much covered. This app is like having your own mathematics professor on call 24/7! This app allows you to check out your entire money situation at a quick glance. It’s an easy to use expense manager, account tracker and much more besides. Not sure if your clients have paid their invoices on time? A quick glance at this will help you manage your finances whenever you want and wherever you are. Account Tracker consistently achieves 5-star ratings in the iTunes Store, so it’s well worth checking out. This system is probably the most well known and trusted payment system on the planet. Most of us use PayPal, whether it’s for shopping on eBay or transferring money. The PayPal app is even easier to use than its online counterpart, allowing completing transactions or getting money into someone else’s account with just a few clicks. If you have multiple accounts, then you’ll be aware that managing them can be a bit of a headache. But that doesn’t have to be the case, and there are some really good apps to help you keep on top of your accounts on a day to day basis. EasyBooks is a solid and simple accounting app that will manage as much or as little as you want it to. The invoicing system is one of its most popular facets, making it ideal for entrepreneurs, sole traders and small business owners. Track your investments and know when to sell or buy, thanks to an app that links you to the world’s premier financial news portal. There’s already an iPhone version of this, but its iPad cousin is even more informative. If you own stocks or shares or like to dabble in the money markets, this app gives you all you need – plus a little bit more. Its simplicity makes it useful for amateur traders, while the sheer depth of information it gives makes it invaluable for those more seasoned traders. Although it’s represented by a dollar-sign icon, this app allows you to set the currency, no matter where in the world you live. In addition to multiple account management, HomeBudget makes predictions as to your financial future, based on the data you put in concerning your current income and expenditure. It’ll report exactly how much you spend and on what and its glossy graphics make it extremely easy to use. This is an entry-level money management app for those who are still trying to learn their way around apps. It does pretty much what any money-management app ought to, but is laid out in such a way that it’s exceptionally easy to navigate. Perfect for those who want to watch their pennies, but aren’t that app-savvy. With the current economic downturn putting the squeeze on household budgets, it’s great to find an app that helps you create grocery lists, share them, scan barcodes and send coupons to your chosen supermarket loyalty card. Plus, it’s a freebie! With these 10 top apps, you can manage your money all day, every day. From buying groceries and seeing how much energy you’re using, through to manipulating your stocks and shares portfolio or chasing up late payments from clients, iPad apps have all the bases covered. These apps are designed to make both your home and business life easier, and for the sake of a few dollars worth of investment, they offer a great investment not just financially, but in time saving too. If you’re a small business owner, these apps will help free you up to do more important things such as actually running your business, safe in the knowledge that your money management is being taken care of.